You have no hesitation in getting your health checkup done annually or taking your car to a garage for an overhaul, and these measures ensure the health and stability of your body and your vehicle. You need a yardstick to assess your financial situation and your new year’s resolutions are a great starting point. Are you anywhere near achieving the financial goals you had planned for 2012? Remembering the reasons why you formulated these goals will help you in reviewing how well you performed financially, and which areas need improvement. Savings are the life breath of any family, and they constitute the cushion that softens hardship in a financial emergency. If your savings are depleted you need to assess which expenses took away maximum money, and whether the amount you are saving each month is realistic enough for meeting your increased demand. Assuming that you have a savings account, it would be wise to check the internet for banks that offer better interest rates that can maximize your saving potential. Even a small percentage point can make a huge difference in boosting savings. Sites like Bankrate.com will help you browse the options available, and if you get a higher interest rate wedded to conditions like having to maintain a minimum balance, a certain level of debits in the account monthly, and getting statement via e mail, you could consider moving to such accounts that enjoy FDIC or NCUA insurance cover. Much as you make money through hard work, you can’t afford to see the fruits of your labor frittered away in lavish spending and a luxurious lifestyle. It helps to put in writing all the top expenses that took away 70% of your income. This will give you greater insight into your spending habits and devise means to control expenditure as you proceed ahead. Your financial reputation hinges on your credit report and getting a free copy from www.annualcreditreport.com is a great beginning in assessing for yourself how your past borrowings and repayments have contributed to building your present credit score. Get a financial counselor to assess it for you and point out the areas that need improvement. Broadly, there would be five to ten categories of expenses like rent, gas, utilities, taxes, insurance and loan payments that form the bedrock of your financial commitment every month. The question is do you know the quantum of these expenses, do you have the due dates for their payment diarized, and equally important do you have the funds to pay them, and still have money available for domestic and personal needs and savings. If you are running a tight ship it pays to seek out more income boosting avenues. Any laxity in payments will impact your credit score. It is possible that you may be denying yourself thousands of dollars in income and contributing more than necessary to your withholding allowances through your W-4 (2012), and one way of checking this is to use the worksheets in www.irs.gov to reduce unwarranted expenses, and the best thing is that this can be done at your convenience at any time in the year. Nobody can deny that most budgets are broken during the holiday season when the festive atmosphere combines with joy to undo many financial commitments. The best way out is to make a detailed list of your November-December 2011 expenses leaving nothing aside, and use this information to save holiday money separately from January to October, so you can enjoy your next holiday without raking up debts. 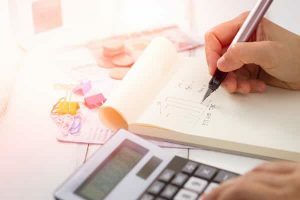 No matter how financially well-organized you are it doesn’t take much to upset the family applecart, and you ought to be aware of your options for tackling financial emergencies. One of the best options is the loan for vehicle title that helps you raise up to 60% of your car’s commercial price as instant cash, without credit reporting constraints or background probes. The professionally serviced car equity loans charge interest rates below 25% APR and offer healthy repayment schedules that stretch payments without stressing income levels.